America’s greatest musical export? That’s easy – Chess blues and rock ‘n roll. New Orleans R&B might be a close second, and you can’t deny the lasting, global impact of jazz greats like Miles Davis, John Coltrane, Thelonious Monk and Sonny Rollins. But think of that strange cultural looping effect that took place in the ‘60s as the Beatles and the Stones co-opted Chess artists like Chuck Berry, Bo Diddley, Muddy Waters and Howlin’ Wolf and then taught us poor, misguided Americans a thing or two about our own musical heritage (and don’t forget Led Zeppelin’s ’69 cover of Sonny Boy Williamson’s Bring It On Home). Throw James Brown into the mix and it’s the basis for virtually everything we listen to today – unless you’re partial to dead German composers or Kenny Chesney. Alright, it’s not quite that simple… but pretty damn close in my book. 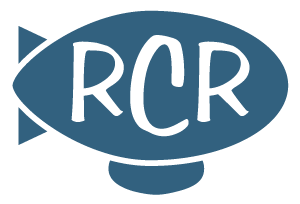 And I started developing this fairly narrow wordview at an early age, when I first came across an odd-looking album stashed over at my sister’s house – a two-record set of Little Walter’s “greatest hits.” Walter’s wailing harp shook me to the core: Roller Coaster …and I quickly decided to dive a little deeper into the Chess catalog. Of course that led me to Muddy and Wolf, and I’ve been a lost cause ever since. You can have your techno trash and indie troubadours… I need something a little closer to the truth – or at least the version documented by Leonard and Phil Chess at 2120 South Michigan Ave., Chicago. 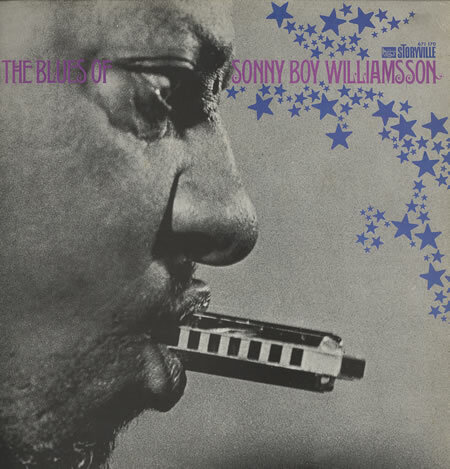 Given the power and majesty of Little Walter’s amplified sound, I initially didn’t take to the more countrified, acoustic harmonica of Sonny Boy Williamson II. But I used a well-paying gig in Columbus as an opportunity to buy a 4-CD overview of Sonny Boy’s Chess years (including some interesting outtakes, which we’ll cover shortly). And I was quickly hooked on the many pleasures of the Sonny Boy songbook. Sonny Boy and Robert Lockwood Jr.
Sonny Boy had already put in some serious miles before he showed up at Chess Studios in 1955. Depending on who you believe, he was born in 1899 (Sonny Boy’s claim), 1908 (on his headstone) or 1912 (possible census evidence). 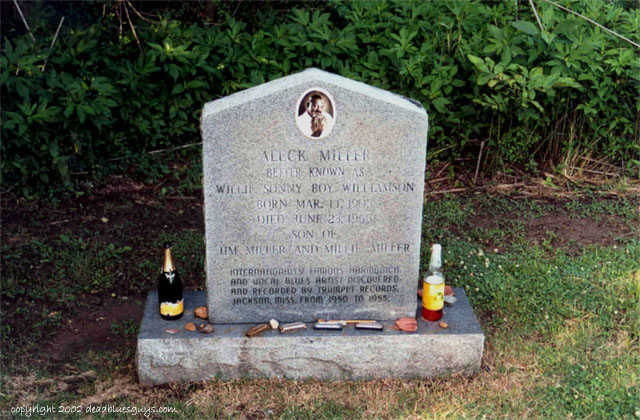 Very little is known about his first 30 years on the planet, other than he probably spent a lot of time in Tallahatchie County, Mississippi under his given name, Aleck “Rice” Miller. He also gained a strong taste for virtually all the major vices – booze, gambling, womanizing – while running across the southern U.S. and beyond with blues legends like Robert Johnson, Robert Nighthawk, Elmore James, Homesick James and Lockwood. 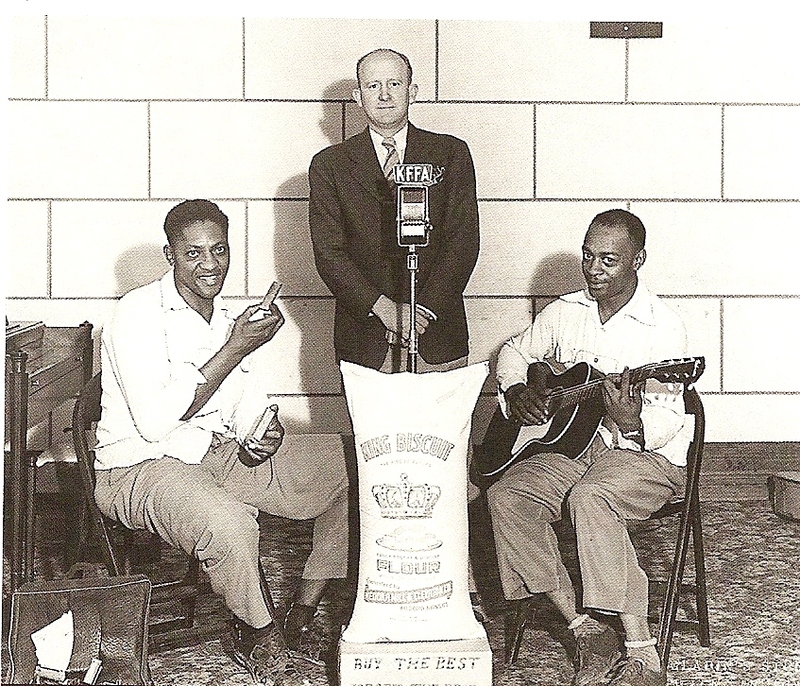 In Helena, Arkansas, Sonny Boy and some of his musical buddies (including Lockwood) developed a long and storied partnership with the Interstate Grocery Company as the King Biscuit Entertainers. They were the official band of King Biscuit Time, a show on KFFA radio that was mainly established to promote the company’s flour. 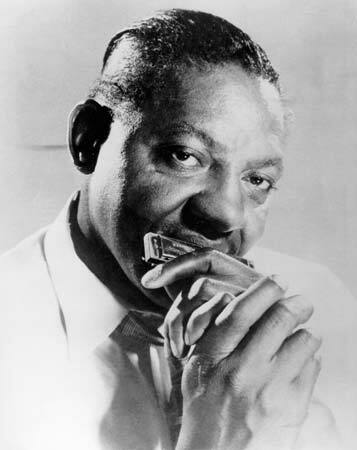 It was during this stint in the ‘40s that Sonny Boy – probably goaded on by Interstate’s owner, Max Moore – appropriated the name of John Lee “Sonny Boy” Williamson, one of Chicago’s most successful and widely recognized bluesmen (Good Morning Little School Girl). And I’m guessing this grand act of identity theft is one of the main reasons why Sonny Boy II (who had little in common with his namesake) never received the same level of respect as Muddy, Wolf and Walter. 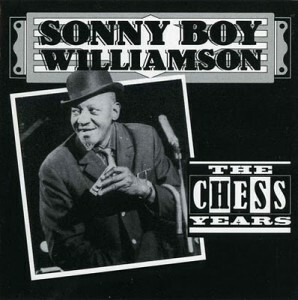 Sonny Boy closed out his career at Chess with some fairly listless recordings, but took London by storm as part of the 1963 American Folk Blues Festival. He even stayed on after the tour, eventually recording and performing overseas with the Animals, the Yardbirds, Jimmy Page and other British bluesrockers. In the folk-blues concerts, he was fairly laid back and reserved. But in the clubs, he was the consummate showman – whipping out his old juke-joint bag of tricks that included playing his harmonica sideways and with no hands. Probably not what the kids expected from an elderly statesman of the blues – especially someone who began sporting a fine two-tone suit and bowler hat in honor of his new surroundings! Sonny Boy probably knew his time wasn’t long when he returned to Helena in the spring of 1965. He played a few gigs and hung out with some of his old running buddies before passing away on May 25 of that year from a heart attack (apparently “hard living” wasn’t one of the options for the death certificate). You can find his grave under a large, well-kept headstone in Whitfield Cemetery, Tutwiler, Mississippi. No need to try to hunt down that “Chess Years” box set (I couldn’t find a copy on Amazon or eBay). 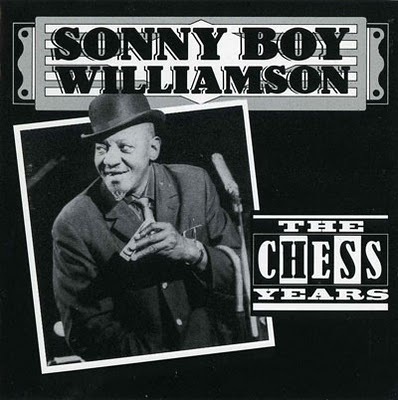 “The Essential Sonny Boy Williamson” (below) delivers the goods with 45 prime cuts from the Chess catalog (you blues vinyl nerds out there will know these tunes were originally released on the label’s Checkers subsidiary). “Bummer Road” includes a few other Chess tunes as well as the sprawling 12-minute outtake Little Village, in which an exasperated Sonny Boy explains to Leonard Chess the song is about a small town. 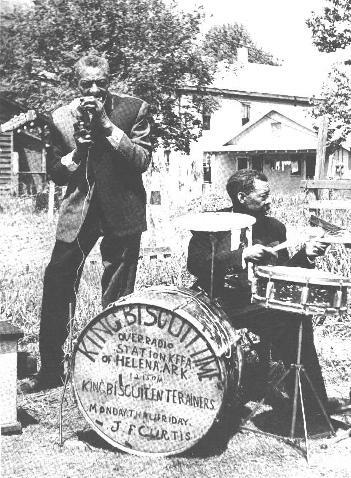 “King Biscuit Time” pulls together most of his Trumpet recordings, live cuts from one of his final appearances on the radio program, and the earliest recorded version of Elmore James’ Dust My Broom.